No more delays and hiccups, as on time delivery is our highest priority. We ensure timely delivery of products to enhance positive customer experience. Our partners receive highest standards of professional services from our highly trained and efficient frontline service teams. 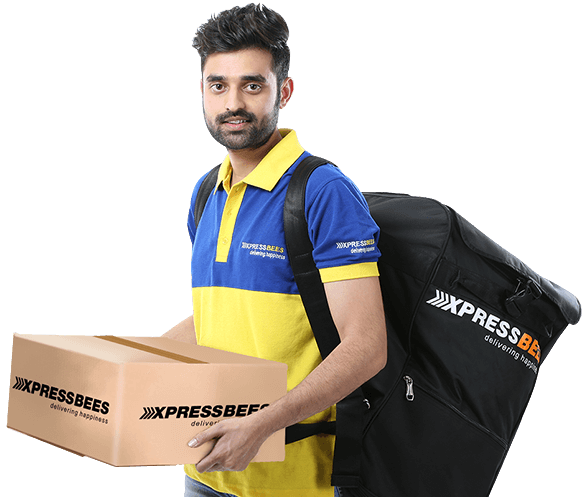 XpressBees has an extensive network spread across India. We are expanding at a steady rate, adding new pin codes every month. Our immense coverage propels your business in reaching the remotest parts of the country thus exponentially increasing your customer base. We’ll take care of the rest. Our state of art automated solutions help you save money, time and sweat through 24/7 monitoring and issue management. Regular status updates on shipments keep your customer informed on the go. of well trained and experienced professionals to provide fast and efficient resolutions. 3rd and 4th Floor, Rajashree Business Park, Plot No 114, Survey No 338,Tadiwala Road, Nr. Sohrab Hall, Pune-411001, Maharashtra, India. Are you ready to partner with the most preferred & reliable logistics solution provider in India?